Breastfeeding in emergency situations is usually talked about in relation to disasters which have occurred in countries outside of the UK. However unexpected crises can happen anywhere at any time. In emergency situations breastfeeding provides a mother with the ability to nourish her child whatever circumstances they are in. Human milk contains all the nutrients a baby needs, along with antibodies to help fight infection and disease. Hormones contained in breastmilk can help to lower stress levels in both mother and baby, and breastfeeding provides warmth and comfort. In an emergency a priority would be to get as many babies as possible being breastfed by their own mothers. 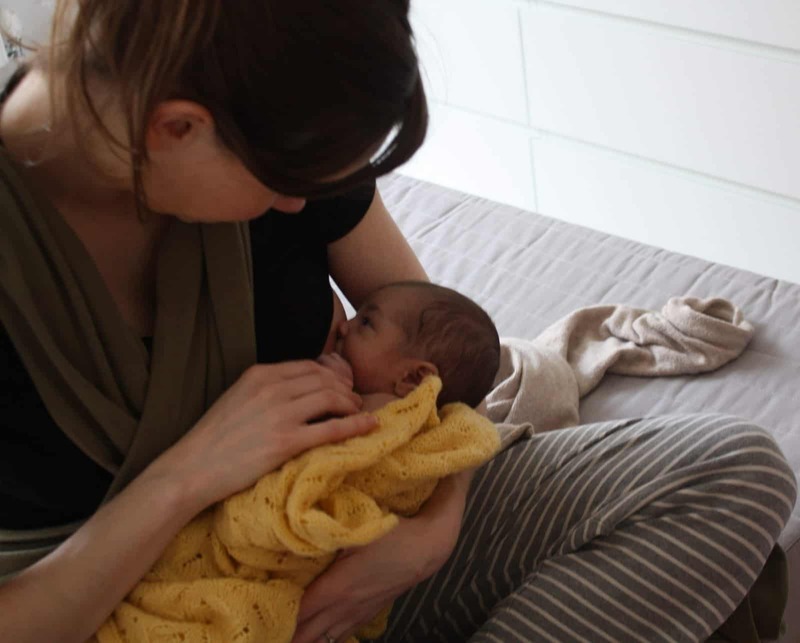 Mothers who are breastfeeding need reassurance that even if they are hungry and stressed they can still breastfeed and can offer the breast as much as the baby wants. If a baby is ill breastmilk is quickly absorbed and helps fight sickness1. If a mother is ill antibodies in her milk will help protect her baby 2. It is sometimes not realised that mothers who have not been breastfeeding can be encouraged to put the baby to the breast to initiate re-lactation. It can take a little time and effort but with the right support breastmilk can be produced again. A baby might be wrapped in a sling or blanket to give skin-to-skin contact and a little privacy while the mother tries this. Although the amount will be limited at first frequent nursing will build up the supply. Find more information about relactation and induced lactation here. A good way of supporting breastfeeding mothers in any emergency situation is to keep them supplied with adequate food, water and ways to keep warm, along with baby clothes and nappies. Routine distribution of infant formula should be avoided. Formula feeding in an emergency is difficult, does not offer protection against illness and can be dangerous if it is not possible to prepare properly. Powdered formulas are not sterile and should only be used where water can be sterilised by boiling, and human milk is not an option. Local water supplies may have been compromised and bottled water should be used with care as some varieties have too high a level of minerals for babies. Bottles and teats are very difficult to adequately clean and feeding cups may be a better alternative. During unexpected emergencies such as floods women may find they face power cuts, water shortages and even sudden evacuation from the comforts of their home. A breastfeeding mother needs no equipment to feed her baby and more importantly she has the knowledge that food for her baby will be readily available whenever needed and wherever she is, and will actively protect her baby while they are in a very traumatic situation. Find support with breastfeeding here. Our Helpline is open 24 hours a day on 0345 120 2918, it is run by volunteers who will do their best to respond as quickly as possible.